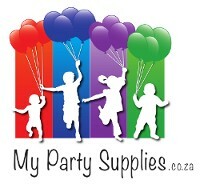 Plain and themed party supplies, tableware and accessories for girls parties. Girls Party Supplies There are no products in this category. A wonderful colourful nutral theme for any birthday. An adventurous teenager sails out on a daring mission to save her people. During her journey, Moana meets the once-mighty demigod Maui, who guides her in her quest to become a master way-finder. Along the way, Moana fulfills the ancient quest of her ancestors and discovers the one thing she always sought: her own identity. A delightful mermaid theme with a colour palette of turquoise and lilac. Paw Patrol Skye & Everest Party Supplies.